To get the latest patch, select the Westfall (ClassicBeta) option from the realm menu on battle.net. Your warcraft will then be patched to 1.24. If you need to revert back to 1.23 for whatever reason (for example, if you need to test something in 6.61b to compare), just change to a different realm and click connect. 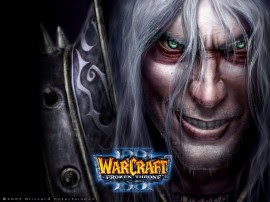 Warcraft will then revert back to the older version. Haven't try it yet, hmm, so the only way to play 6.62 is patching WC3 to 1.24? The only Dota would work on Battle.net is the 6.59D!!!!!!! Blizzard really messed this up. where to put the patch 1.24? Very nice post. I just stumbled upon your weblog and wished to say that I've really enjoyed browsing your weblog posts. After all I will be subscribing on your rss feed and I hope you write again very soon! Its like you learn my thoughts! You appear to grasp a lot approximately this, like you wrote the e-book in it or something. I think that you could do with a few % to power the message home a little bit, but other than that, this is magnificent blog. An excellent read. I'll definitely be back. you (not that I really will need to…HaHa). You definitely put a brand new spin on a subject which has been written about for years.